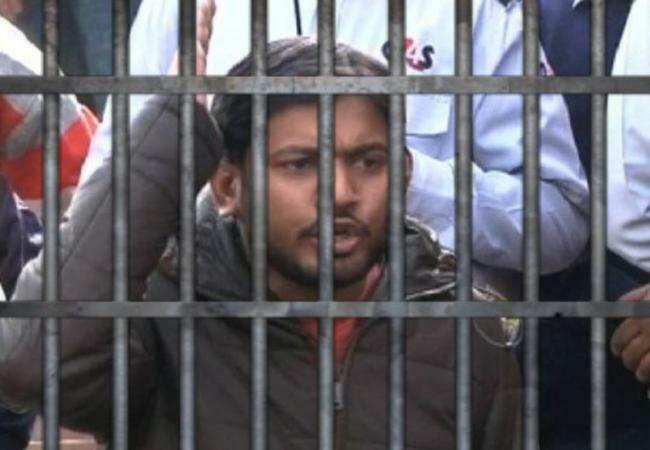 The Fist Information Report (FIR) regarding the controversial arrest of Jawarhalal Nehru University Students Union (JNUSU) president Kanhaiya Kumar on February 10 on charges of sedition is still not been put in public domain by the Delhi Police, a senior human rights and Right to Information (RTI) activist, Venkatesh Nayak, has revealed. In an email alert, Nayak, who is with the Commonwealth Human Rights Initiative, New Delhi, has said, that while the media reported that the Delhi Police registered a First Information Report (FIR) at the Vasant Kunj North Police Station on 11 February – a day after the incident – the Delhi Police’s dedicated page on its website for the proactive disclosure of FIRs has not listed the JNU FIR. Nayak's revelation comes close on the heels of news coming in that Kumar was attacked in a Delhi court on February 17 twice. He told a team of lawyers sent by the Supreme Court spoke to Kumar and reported that he was "terrorised". “The transparency measure for making public FIRs was initiated under the directions of the Delhi High Court in 2010 in the matter of Court on its own Motion through Ajay Chaudhary vs State [2011 CriLJ 1347]. However, the FIR relating to the incidents at JNU could not be located on this website”, Nayak complains. “Under the regime of transparency established by The Right to Information Act, 2005 (RTI Act) media reports are the only source of information regarding the contents of the FIR registered by the Delhi Police”, he underlines. “Public access to this kind of information is crucial to determine whether the actions of the Delhi Police in arresting the students and also demanding their custody (instead of rendering them to judicial custody) is justified and proportional or not”, Nayak points out. Further says, Nayak, the Delhi Police is not complying with the law of the land in another manner. In 2009 Parliament amended the arrest-related provisions of the Code of Criminal Procedure, 1973 (CrPC) requiring every State Police Headquarters to prepare a database of persons arrested by the police and make it accessible to the public. 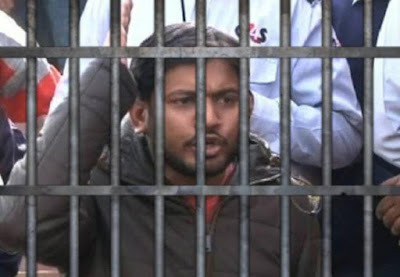 “Section 41C of the CrPC which became operational in 2010 makes it mandatory for the Delhi Police to create a database containing details such as the name and contact details of every person arrested, the name and designation of the police officer making the arrest, the nature of offences for which the arrest is being made and publicise them for the reference of the people”, Nayak says.